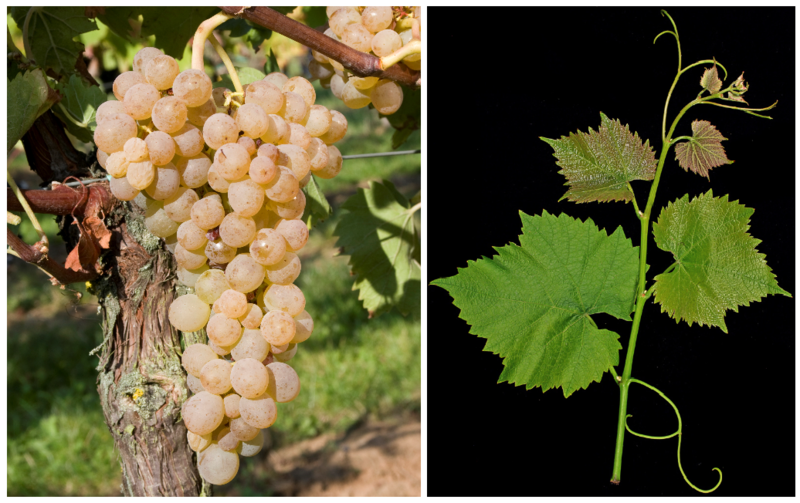 The white grape variety (also Kozma CSFT 195) is an interspecific new breed between Villard Blanc x Csaba Gyöngye, They are genes of Vitis berlandieri. Vitis rupestris and Vitis vinifera contain. The intersection of hybrid took place in Hungary by the breeder Pál Kozma. In the year 2010 190 hectares were expelled (Statistics Kym Anderson ). This page was last modified at 7 January 2019 at 14:06.